We were driving along looking for I forget what, when we got hungry. There aren’t a lot of choices out in the countryside, so when we got here we thought, well, how bad can it be, and stopped in. The place was reasonably full and there was no competition. It must be one of those signs of the times, depopulation of the countryside, something like that. I certainly can’t imagine myself wanting to live in this drab building, commuting downstairs, cooking and feeding folks all day long, then heading back upstairs to fall asleep until the next day, day after day for decades. It’s understandable but it’s sad. In a way, these aren’t bad jobs. That nice couple must surely make more than the cooks and waiters at, say, Buffalo Grill. But of course they have to do more than those cooks and waiters: accounting, all those other support jobs, no one to fill in during vacations. A whole series of things would have to change to make a business like this truly viable, apart from summer, when the empty villages fill with visitors. It would be like turning the tide. As I am neither economist nor urban planner, I wouldn’t know where to start. So, I don’t know. I guess my choices are boiling down to packing a lunch or learning to love Buffalo Grill. Running a business in France is very difficult. You have to pay taxes, social contributions, TVA etc. based on a number they pretty much pull out of the air. It all gets rectified several years later, after your tax returns are processed. I know someone who made €20K more than the year before and who had to pay €30K more in taxes and social contributions. Who wants to deal with that? Especially at the low end. Better to be an employee. Or a gigantic company that gets tax breaks and has accountants to figure out how to deal with it all. I agree with that. I just have a part-time handyman. I can’t believe what I pay in social charges. The government just pulls it out of my account at irregular intervals, with no notice. It’s no wonder these small businesses operate with no employees. It’s a death spiral. The higher and more arbitrary the social charges and the harder it is to lay off employees, the less likely people are to hire, the more likely locals are to migrate to the cities or abroad, etc. Politics being what they are, I don’t see it changing. France is hollowing itself out. It is very sad to see all these places go bit by bit. Fewer young people want to live in the countryside these days. 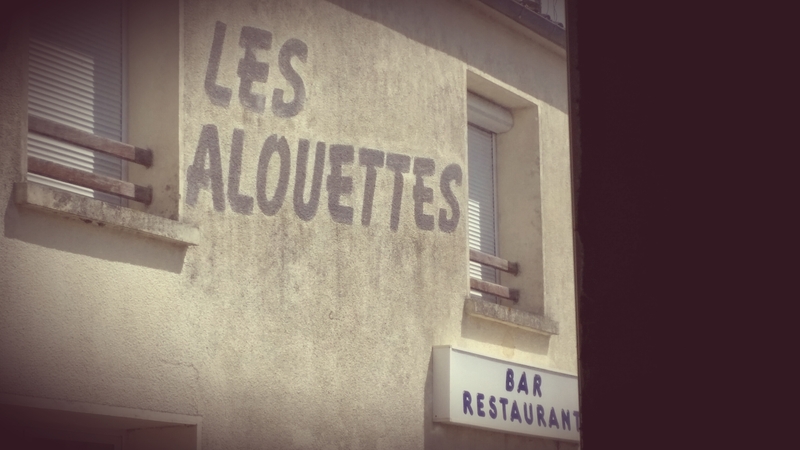 Each time one of these local places close, a little bit of the French culture and way of life dies. I agree. There is high culture, which requires money and cities. Then there is the everyday culture from which that develops. It’s just too expensive to have much in the way of ordinary culture in cities. You need out of the way places where things can just be. I don’t know quite how to put it but it’s a process of cultural gestation or fermentation or something, essential but largely unappreciated. It is too easy to dismiss these small businesses as relics of a bygone time. They are a little shabby and Mom and Pop have long since become Grandma and Grandpa. I think that’s a mistake. Mom and Pop might have sold out long ago, had there been a buyer, someone with energy and new ideas. That’s how cultures are renewed. I’m not seeing that in France. I’m seeing a commodification of high culture, with the designer brands and shops becoming concentrated in fewer hands and spreading all over the world. Ordinary culture is becoming either ersatz Americana or an ossified French, a pastiche of cute French-style flourishes. It’s not 100%, of course. For example where I live Bellevaire is developing a thriving business in artisanal dairy products: yogurt, cheese and the like. I worry that even as they are buying up small producers — Mom and Pop make cheese, too — they are themselves becoming takeover targets. For now, though, some people and companies are figuring out how to make it in France, despite the strong regulatory headwinds. I hope it becomes a trend. Maybe there is room for the small specialist business in France.Let’s hope so, otherwise I won’t be dropping by your place any time soon………………. You’ll probably be okay. You’ve got the Mom and Pop thing going. I’d find a good bookkeeper, though. I’ve got an excellent French accountant; what’s the Mom and Pop thing? You don’t speak American? Okay, then. A “Mom and Pop” business is one where a couple runs the business. They might have a few employees but they run the show. They have not grown to the point where they need to put standard business procedures in place. If they divorce or one of them dies, the whole business is in jeopardy. Unless you are a”Fortune 500 or bust” kind of person, or unless it is time for Mom and Pop to turn over the business but they don’t want to, it’s not a pejorative. People get along fine for decades with that business model. And in France, with its crazy employment laws, for many businesses it’s almost a requirement. I am hearing from everyone that you either have to be huge, institutionally huge, or stay tiny. France seems to be the role model in this regard. Well, I love your stuff. I love that you guys are selling steadily. It’s the kind of business that lends itself to being a small enterprise. I’m not just rooting for you, I’m checking out your Etsy shop. You guys can’t get to France too soon! Happening in lots of places as regulations make running a small business that much harder. Glad you were able to enjoy it while it was there. Would you go back before it closes? I would go back if I was there around lunch time again. It was a good, honest establishment, interesting on a sociological level but hardly worth a detour. In the States, small businesses account for half the jobs. Plus when a small business goes under, a few people lose their jobs. When a large one goes under or even relocates, boom, it’s Detroit all over again. And who ever heard of the corner cafe offshoring? Sorry, I’m starting another rant. But yes, everything possible should be done to encourage entrepreneurs and small businessmen. They’re good, aren’t they. All a lot of them need is a little cleanup, maybe some paint and a little menu updating. Not much, really. Rarely I get the “oh, Parisians” routine but usually they are just happy to have a little more business. The more of them I try, the better I like them. Sadly running an eatery is bluddy hard work in any language. With rural populations having to move to the cities to find work, it is hardly surprising that places can’t find buyers to take over the hard work and small returns promised by running a village Auberge. You should discover Julia Stagg – she wrote a wonderful set of lightweight novels set in a fictional village in South West France but based loosely on her own experience of moving from England with husband to run an Auberge in the Pyrenees. I’ll check those out. Thanks. Yeah, the whole gites/chambres d’hotes/small inn thing. Why do people do it? In my experience most people are pretty nice but at my little place either I am tied down all summer or my handyman makes all the money. Then there are the ones who want the Four Seasons at a Travelodge price. The only people I know who like running those places are people who would be doing something like that anyway. Maybe they love to cook or something. I love to cook, but still. I love to cook – for people I at least like and I like to eat what I’ve made too so hopeless to even countenance a gite/inn or anything hospitality related! I’m far too moody anyway …. Some of my guests would give me 5 on TripAdvisor and the rest would campaign to have me closed down for spikiness! Funny. I’m glad I’m not the only one. I am a huge fan of that kind of establishment and do not set foot in any of the places run by nationwide chains of hippos, buffalos or big-footed clowns. These people are the legendary “France who gets up early” that Sarkozy referred to… and they go to bed late, too. They are slowly dying out across France, to the extent that national TV regularly spotlights local restaurants, bakeries and bars that are up for the taking by youngsters. Unfortunately, there are less and less people seeking to take them on because the costs are so high. The medical sector is particularly affected – not good. I am a huge fan of that kind of establishment, and do not set foot in any of the places run by nationwide chains of hippos, buffalos or big-footed clowns. These people are the legendary “France who gets up early” that Sarkozy referred to… and they go to bed late, too. They are slowly dying out across France, to the extent that national TV regularly spotlights local restaurants, bakeries and bars that are up for the taking by youngsters. Unfortunately, there are less and less people seeking to take them on because the costs are so high. The medical sector is particularly affected – not good. Yeah. The entry cost is high. The failure rate is high. It’s sad, especially for people like me. I was never happy working for other people. If you’ve got the entrepreneurial bug, you’re in a spot. I know it’s hopelessly old school but I use Michelin. I look for the bibs and one-fork places. Often they are much closer to the corporate places than you might think. Look for places that are “Guide du Routard” approved. They are generally good value and serve very good food. I have noticed those signs but not known how reliable that is. Thanks. The only low-risk, affordable independent status is the one I’m under to work as a free-lance : “auto-entrepreneur”. If you want to take on staff, it costs you and arm and a leg, so I’m going it alone. As you know, you are far from the only one. When I go to places like stone yards, where I am used to seeing half a dozen guys, and see only the owner, it’s a real shock. When I came here, I wondered why a place with no mañana syndrome moved so slowly. Now I wonder how it moves at all. The only places that are overstaffed are government offices.